The Aspen Institute College Excellence Program today named TJC as one of the nation’s top 150 community colleges. The distinction makes TJC eligible to compete for the 2019 Aspen Prize for Community College Excellence and $1 million in prize funds. The Aspen Prize, awarded every two years, is the nation’s signature recognition of high achievement and performance among America’s community colleges and recognizes institutions for exceptional student outcomes in four areas: student learning, certificate and degree completion, employment and earnings, and access and success for minority and low-income students. 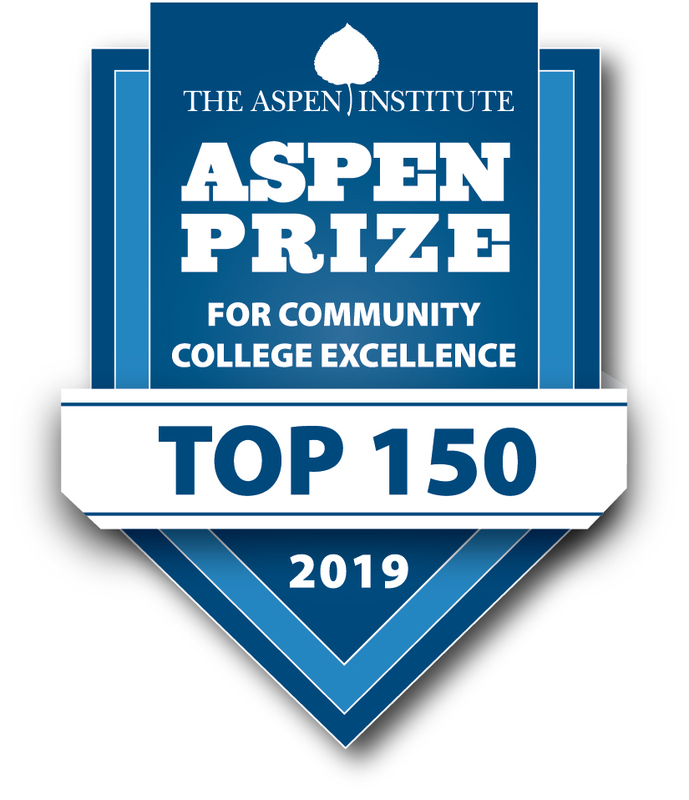 TJC has been invited to submit an application to the Aspen Prize for Community College Excellence containing detailed data on degree and certificate completion (including progress and transfer rates), labor market outcomes (employment and earnings), and student learning outcomes. Ten finalists will be named in May 2018. The Aspen Institute will then conduct site visits to each of the finalists and collect additional quantitative data. A distinguished Prize Jury will select a grand prizewinner and a few finalists with distinction in spring 2019. Higher education attainment has never been more important. Estimates from Georgetown University’s Center on Education and the Workforce suggest that out of the 11.6 million jobs created in the post-recession economy, 11.5 million require at least some college education. The vast majority of students who enroll in community colleges do so because they believe that postsecondary education will provide them a path to rewarding work, stable employment, and family-sustaining wages. “Especially in the current social and economic climate, it is exceptionally important that our nation's community colleges develop the diverse talent needed to fuel democratic engagement, social mobility, and economic opportunity and growth,” said Josh Wyner, executive director of the Aspen Institute College Excellence Program. A full list of the selected colleges and details on the selection process are available at http://highered.aspeninstitute.org/aspen-prize/.